I’m obsessed with good food so I’m always reading food blogs to get new ideas on what to cook or where to eat. Since going Paleo, most recipes posted on my favorite food blogs are carb-heavy dishes that I’ll only cook sometime in the future as a F-off/cheat meal. 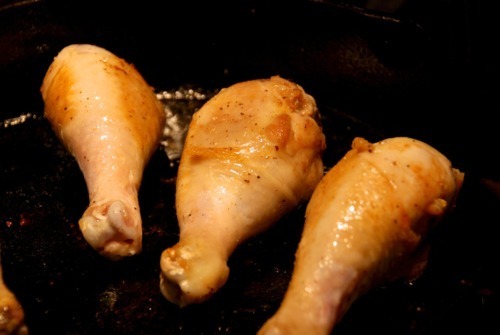 That’s why I got so excited when I found Dorie Greenspan’s recipe for Chicken-In-The-Pot. Dorie is an effing genius in the kitchen and her well-written blog is so much fun to read. She’s definitely one of my food blogger idols. I made Chicken-In-The-Pot tonight with some modifications to make it Whole30 compliant and to fit my palate. 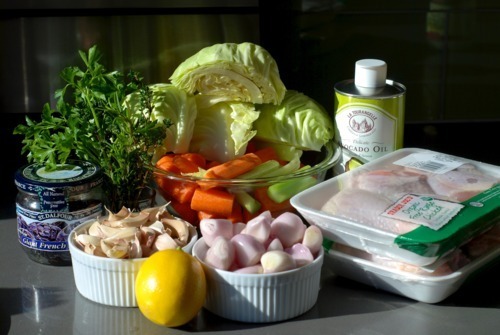 Dorie’s recipe is super simple, really flexible, and the resulting dish was amazingly delicious. I preheated my oven to 450° F, assembled all my ingredients, and prepped my veggies. I ended up cutting the cabbage into eight wedges post photo. 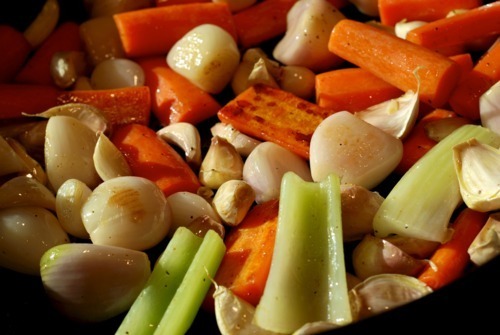 …and placed the browned vegetables in my large Dutch oven. 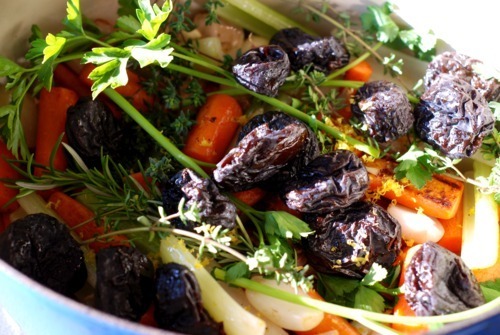 I added the herbs, lemon zest, and prunes to the vegetables and mixed everything together. 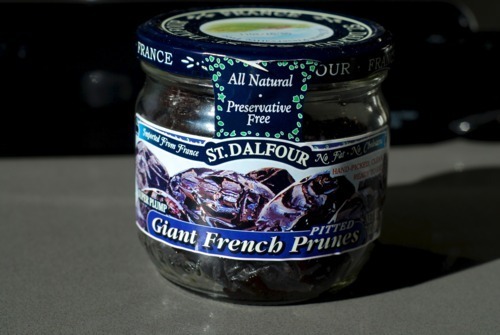 Don’t be afraid to add the prunes – they help balance the dish. 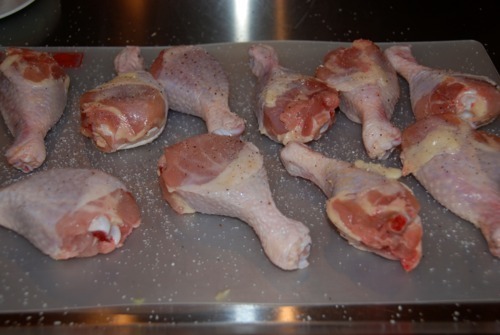 …and browned them in avocado oil over medium high heat (the browning part is optional per Dorie). 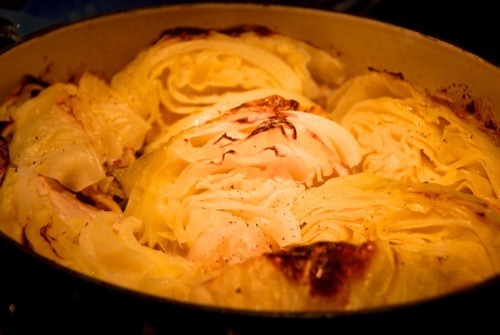 Then, I put the drumsticks on top of the vegetables in the Dutch oven and I added the cabbage wedges. 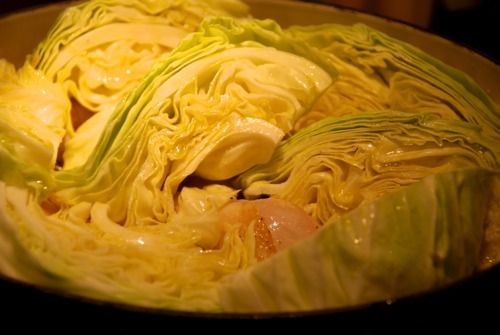 I whisked the chicken broth, ½ a cup of avocado oil, and apple cider vinegar together and poured it over the cabbage. 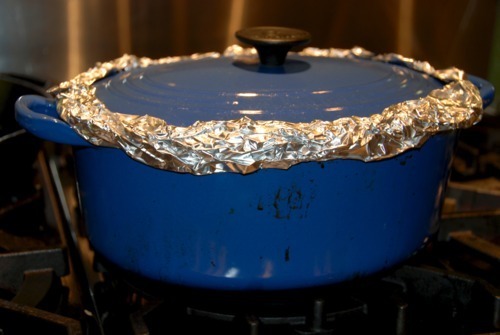 I added a sprinkle of salt and pepper on top, lay a sheet of heavy duty aluminum foil over the top of the cabbage, put my lid on top tightly, and crimped the edges to make a tight seal. I popped it in my oven for 70 minutes. It smelled so good when I took the cover off! 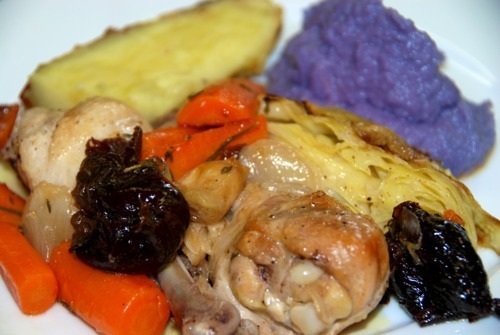 I served the chicken with garlic and purple cauliflower mashed “potatoes,” and baked Japanese yam. Good stuff. I can’t wait to get Dorie’s new book in the mail in two days! Previous Post: « Welcome Another Fat Into My Pantry: Avocado Oil!